Japan – from Tokyo and Osaka. South Korea – from Seoul. Russia – from Moscow, Ulan Ude and Irkutsk. China – from Beijing, Hohhot, Urumqi, Hong-Kong Hailar, and Shanghai. Singapore – from September 20, 2014 by MIAT. MIAT Mongolian Airlines – from Germany, Russia, Korea, Japan, Hong-Kong Singapore and China. Aeroflot Russian Airlines, from Russia. Korean Airlines, from South Korea. Turkish Airlines from Istanbul through Bishkek. KLM and Air-France have code sharing flights with MIAT, based on MIAT’s flight schedules from Moscow. Domestic airlines that flies between Ulaanbaatar (Capital of Mongolia) and other different provinces of Mongolia. 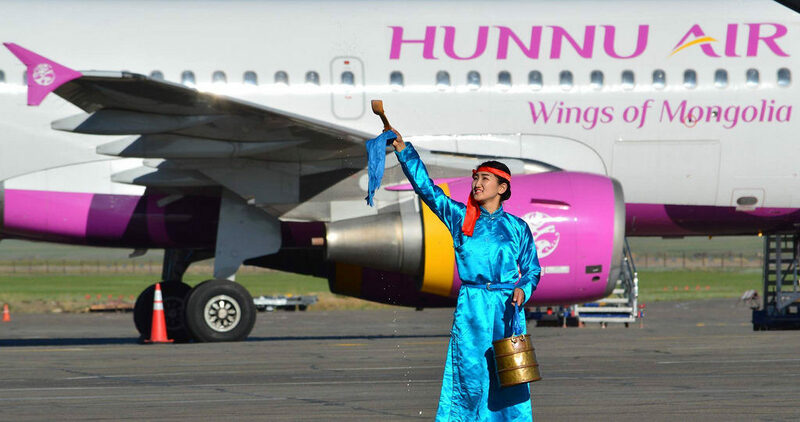 When you travel to Mongolia you will need to fly to Ulaanbaatar (capital) city of Mongolia and after you will able to fly to different provinces of Mongolia with our domestic airlines. There is no other place with international airports except of Ulaanbaatar’s Chginggiss Khaan international airport. Our domestic flights can be delayed or flight time can be changed frequently. We recommend you not to put your international flight dates in same day as your domestic flights in Mongolia as it is too risky and there is high possibility to miss your international flights. So make sure that you will have spare days between those flights.